Skort - |skôrt| - n.
Here at Monkeyhouse we believe in collaboration wholeheartedly. That collaboration doesn't end with the artists in the studio but extends to the conversations and feedback we get from each one of you. 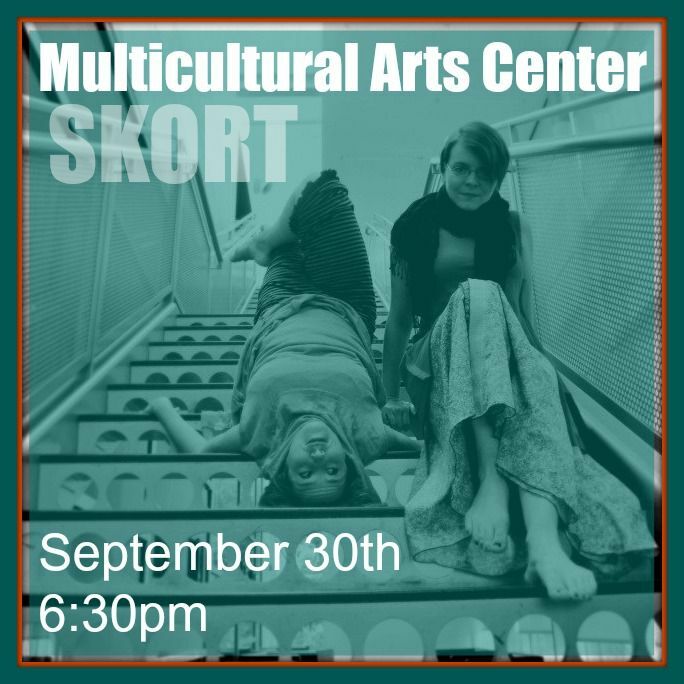 While building new pieces, we hold events called Skorts to invite you in to our creative process. 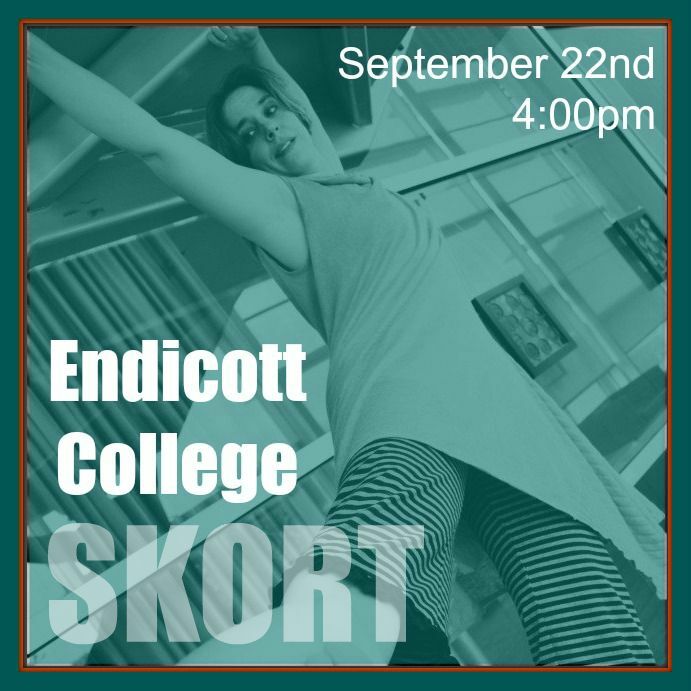 At the Skort the choreographer or performers ask viewers questions to get insight about the audience's experience. Based on the resulting conversation, we may choose to try the piece again using different variables like new music or adding an extra prop or costume. Audience is also encouraged to ask questions about what they see and the process that got us there. At a winter Skort at the Multicultural Arts Center in Cambridge, Nikki and I showed a piece we had built for NACHMO (National Choreography Month) where Nikki receives a series of prompts via a clothesline stretched across the stage. Upon suggestion from the audience, a second version of the piece was improvised with Sam joining Nikki in collecting prompts from the clothesline and off the floor where Nikki had discarded them. The addition of a second person completely changed how people saw Nikki's interaction with the clothesline and how the clothesline itself existed within the space. As a choreographer it is exciting to explore these ideas in real time. While the solo version of this piece is still being developed, a number of changes were made to the piece based on these conversations. Those of you who saw it at NACHMO or at the Skort will hopefully be pleased with the choices Nikki and I made when you see it in October! I am excited to have the opportunity to share so much new and revisited work with you over the next few months. (Did I mention a new duet from Karen and me may be in the works!?) Please come out to any or all of the Skorts to see what we've got up our sleeves! Better yet, bring a friend! You know some awesome people and we'd love to meet them! Just forward this email, or craft an invite of your own. The more the merrier! Many of our earliest local performances were held at the Multicultural Arts Center in Cambridge. We were so excited when Shelley asked our Skort series to be part of their Mid-Week Shuffle! (The Multicultural Arts Center is the home of our 15th Birthday Celebration concert in October! If you haven't seen this incredible space, you MUST!) The Multicultural Arts Center will be offering free appetizers and a cash bar from 6:30-7pm!